Walter George Bruhl Jr., pictured here, died on March 9th of this year. Every line of his death notice, which he wrote himself, is outstanding. 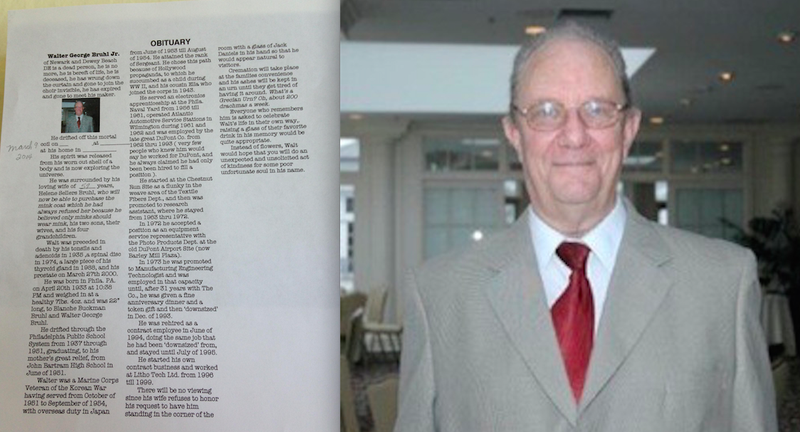 Bruhl's self-penned obit made the rounds online earlier this year, in the days immediately following its March 11th publication in the local Cape Gazette newspaper. How we managed to miss it then is beyond us, because this is just fantastic. We apologize for the oversight.